“Happily Ever After”, the Magic Kingdom‘s new nighttime fireworks spectacular, is right around the corner, and Disney has just released a video that delves into the creative process that guided the development of the score. 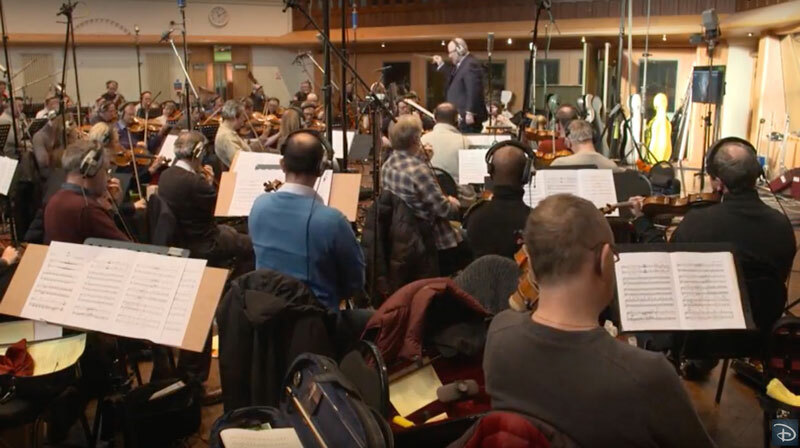 A 75-piece orchestra recorded the score at Air Studios is London. Individual sections of the music were inspired by the emotional undertones of the story, each with a name which represents a portion of the characters’ journey, such as “adversity” or “friends”. Although written at different times, and by separate composers, the production team worked to blend each section together to create one continuous piece of music. The music is paired with the visual elements of the show, with the intent to make the audience feel the same emotions the heroes of the spectacle will be experiencing.